Ironing Diva. A Slice Of Life. Sparks. Of The Dangerous Kind. Hills. Dwarfed By The Trunk Of A Eucalyptus Yellowbox. Before the beginning of summer in my rural patch, which is the picturesque hills of the Central Tablelands of NSW. We experienced a one in a hundred year rain event. It just rained. And rained. And rained. More rain fell in November than in almost the whole year to date. When it ended, our paddocks were lush and green. As they were for as far as the eye could see. Lusher than we can ever remember. January started with a heat wave. That doesn’t seem to end. First it was day after day in the low 30C’s. Then the mid 30’s. February morphed into even hotter temperatures. High 30C’s. Low 40C’s. Culminating in a week of 46C at 2pm. In the shade. Almost every afternoon. This past Sunday was Catastrophic Sunday. The NSW Rural Fire Service (NSWRFS) predicted it would be a day of unprecedented fires. Which it was. Ironing Diva. A Slice Of Life. The Memory Jar. Sunrise. 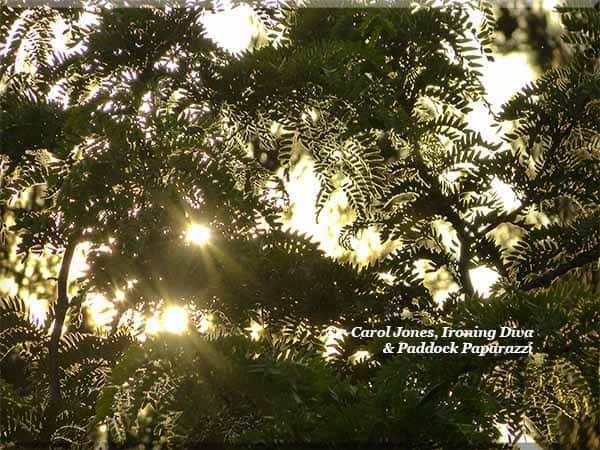 Through The Fern Style Leaves Of A Gleditsia Tree. The new year is not far away. And for many of us, we’re already starting to wonder what that new year is going to be like. For me, the beginning of every year is like having a bright shiny bauble in my hands. It’s new. Full of promise. And glows with anticipation. As the year progresses through its roller coaster ride of life, the bauble tarnishes. Brightens. Tarnishes. Brightens. With the events that confront us. We too often remember only the moments that tarnish the bauble. And forget those that make it gleam even brighter. To truly remember what the year had in store for us, I suggest you start a Memory Jar. For just you. Or for your whole family. Or one for each member of your family. On the first day of the new year, write down on a slip of paper your wishes and hopes for the coming year. As well as your doubts and fears. And put it in the Memory Jar. Ironing Diva. Beautiful Rooms To Read In. Reading Nooks. I run my worldwide business, The Fitz Like A Glove™ Ironing Board Cover And Other Goodies, from my remote 54 hectare rural property. In the picturesque Central Tablelands of NSW. I work 7 days a week. My average day starts at 4am. I am. By nature. An early riser. There is also another reason for such an early start. I have many customers from around the world. 400,000. In 29 countries. And when they email me, I like to be able to reply to them in their daylight hours. Even though I work long hours. I take two breaks during my day. At sunrise every morning, I go for a walk on my 54 hectare remote rural property. With my camera slung around my neck. And photograph what I see. Every morning, I choose the best photo. And post it to all my social media accounts. I am renowned for my ‘morning photos’. Every afternoon, I take a break. And pick a book from my extensive business library. And sit down to educate myself. On the best practices for running a business. Ironing Diva. Beautiful Rooms To Eat In. Conservatories. I love elegance. In all its ramifications. They all have their charm. And above all. I love elegant rooms to eat in. There’s nothing more alluring than sitting down to a beautifully set table. In a room that oozes style. And graciousness. The next best thing is the table linen that is an integral part of this seductive way of life. Ironing Diva. Life As It’s Lived. 80% Of Success In Life Is Showing Up. A Kangaroo. In The Lush Paddock Grass. Woody Allen is credited with saying that 80% of success in life is showing up. In everything we do, it’s important to show up. When me and my partner, Victor Pleshev, the architect who designed the Fitz Like A Glove™ Ironing Board Cover for his mother. To help her with her ironing when she was recovering from a stroke. Lost everything in Paul Keating’s 1992 ‘recession we had to have’, we had choices. One was to grieve. And do nothing. One was to make the decision to start anew. And reinvent ourselves. By escaping the city lights of Balmain NSW. For the rural life in the Central Tablelands of NSW. Ironing Diva. Our Makers. There Is A Difference Between. Those Who Go To Work. And Those Who Love To Work. 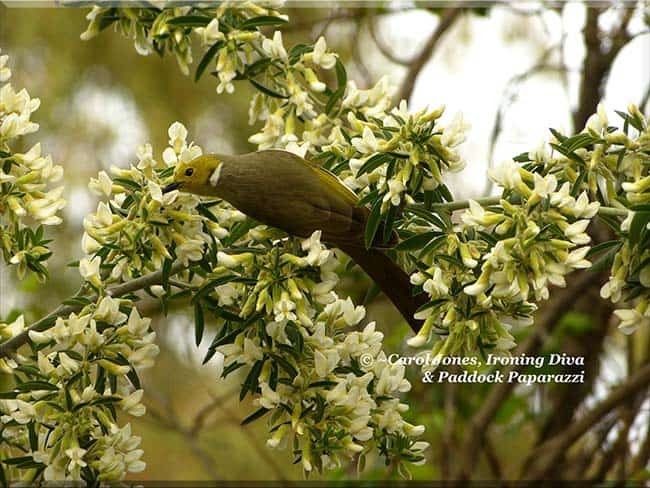 A White Plumed Honeyeater. Feasting On Nectar From Tagasaste Blossoms. In 1994, when it was obvious that the Fitz Like A Glove™ Ironing Board Cover was now an accidental business. With the potential to become a substantial business. We looked to getting the making off our dining room table. And into a sewing company. This was in the depths of Paul Keating’s ‘recession we had to have’. We had Guide Dogs/NSW. SA. WA. Knocking on our doors. Wanting to sell our ironing board cover through their telemarketing division. To raise funds for the training of Guide Dogs. And Pets As Therapy Dogs. Bamix Australia wanted the cover in their shops. Lincraft stores nationally wanted the cover in their shops. And Howard Storage World’s original store. Owned by Edda, Les and Dan Howard. Wanted the cover in their store in Northbridge. Ironing Diva. A Slice Of Life. Goats. Up Close. And Personal. 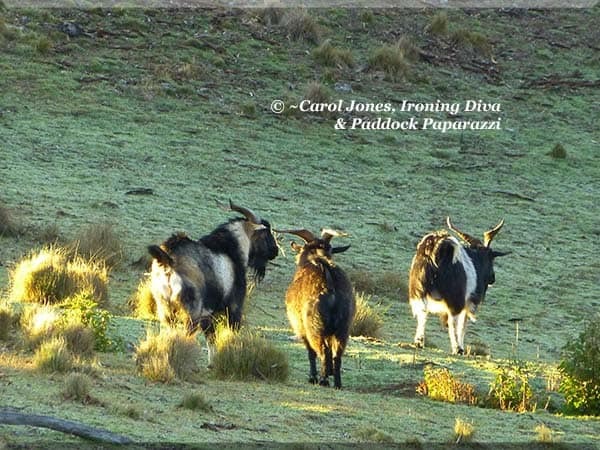 Wild Goats. In The Paddocks. At Sunrise. I run my worldwide business, The Fitz Like A Glove Ironing Board Cover And Other Goodies, from my remote 54 hectare rural property. In the picturesque Central Tablelands of NSW. We have many wild visitors to our paddocks. That are very welcome. Many of them can be heard in our hectare of garden at night. Kangaroos especially. And Willie Wagtails. In the month of November. When they’re nesting. During the day we see foxes and the occasional stray wombat. Stroll through our garden. But I draw the line at goats. Ironing Diva. Beautiful Tables To Sit At. 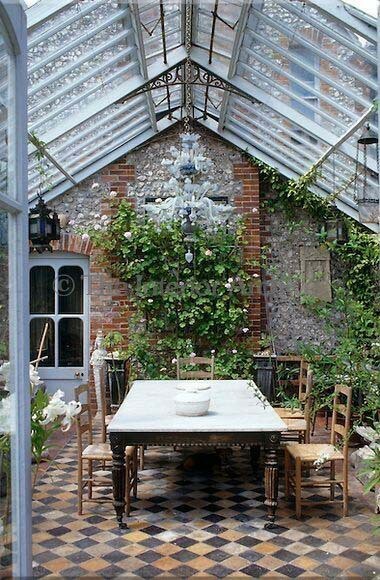 In A Sunroom/Conservatory. Photo Is Courtesy Of Pinterest. Stylish Eve. Many of my customers for The Fitz Like A Glove™ Ironing Board Cover And Other Goodies envy my rural lifestyle. 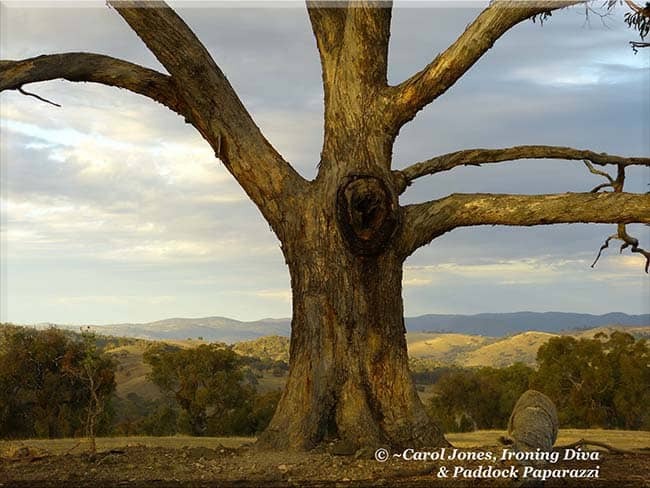 Living and working from my 54 hectare beautiful remote rural property in the picturesque Central Tablelands of NSW. Human nature being what it is, we all want something we don’t have. I’ve always wanted a big enclosed porch. American style. 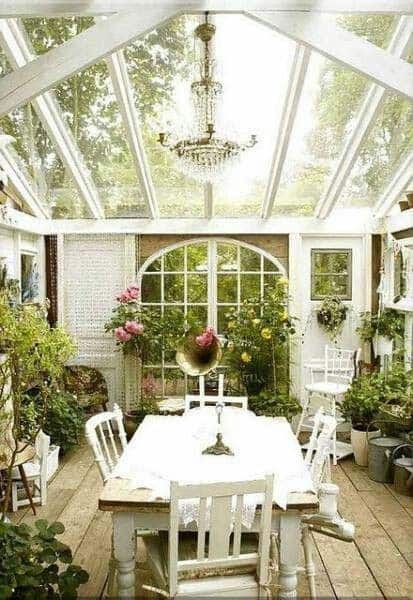 But I think I’d have no trouble settling for this gorgeous sunroom/conservatory. With a beautiful big table to sit it. I have a fetish for ‘beautiful tables to sit at’. There is nothing more luxurious than a beautifully set table. With cloth napkins. And table linen. If that’s your fancy. Crisply pressed on a Fitz Like A Glove™ Ironing Board Cover. Of course. Charming company. Even if it’s only you. Sipping a cup of tea. Ironing Diva. Business Is A Tough Gig. But Often. It’s An Absolute Joy. 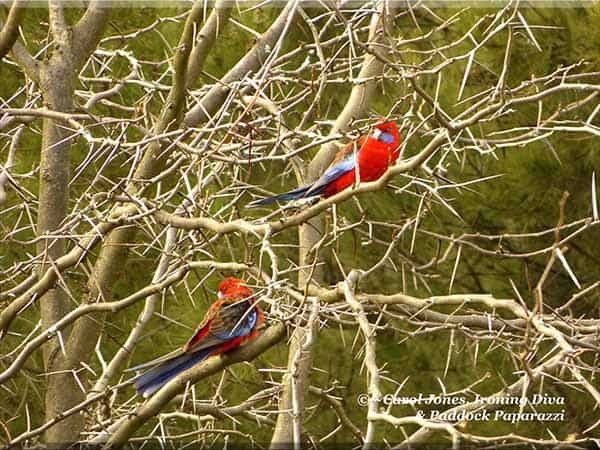 Crimson Rosellas. Relaxing. In A Gleditsia Tree. 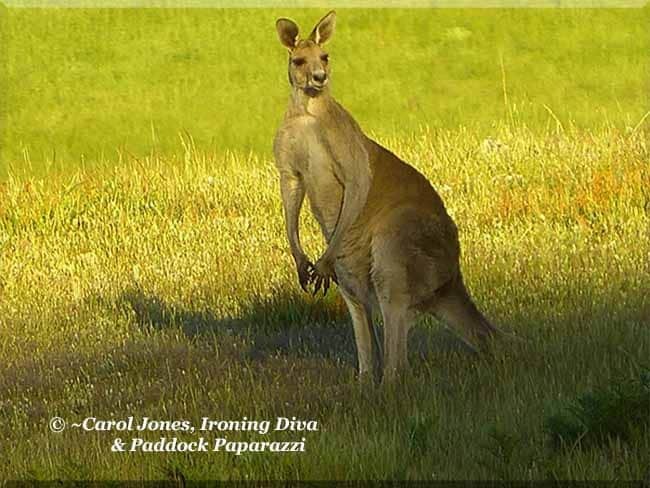 I run my worldwide business, The Fitz Like A Glove™ Ironing Board Cover And Other Goodies, from my remote rural property in the beautiful Central Tablelands of NSW. Not only is my location isolated. With no real near neighbours. And the closest rural town a 45 minute drive in one direction. But I’m an online business. Which is based on anonymity. I rarely get to meet my online customers in person. As you do when you own a shop. Where customers are passing by every day. Saying G’day. And two way conversations ensue at the drop of a hat. But this week was a true bonanza for catching up. And chit chat of the best kind. Ironing Diva. A Slice Of Life. Somebody’s Got To Do It. 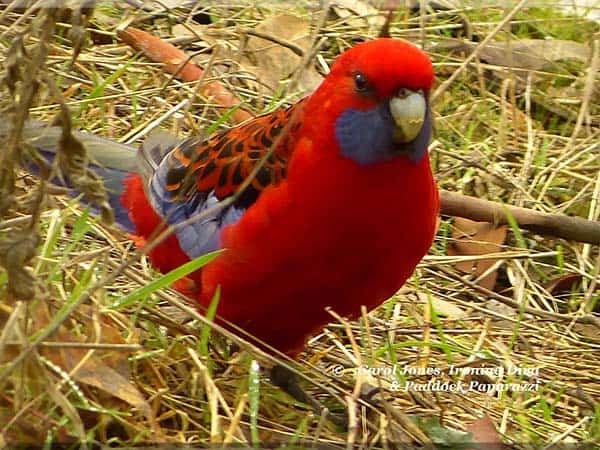 A Crimson Rosella. In My Side Paddocks. I run my worldwide business, The Fitz Like A Glove™ Ironing Board Cover And Other Goodies, from my remote rural property in the picturesque Central Tablelands of NSW. My landline is my lifeline between me and my customers. It’s old fashioned technology. But it’s my technology of choice when I need to get in touch with a customer. This was an occasion when it was my turn to make a phone call. An online order was for an Extra Large Fitz Like A Glove™ Ironing Board Cover. And a Superior Felt Underlay. I make it clear on my shopping cart that the Superior Felt Underlay WILL NOT fit an extra large ironing board. I ring the number on the order.